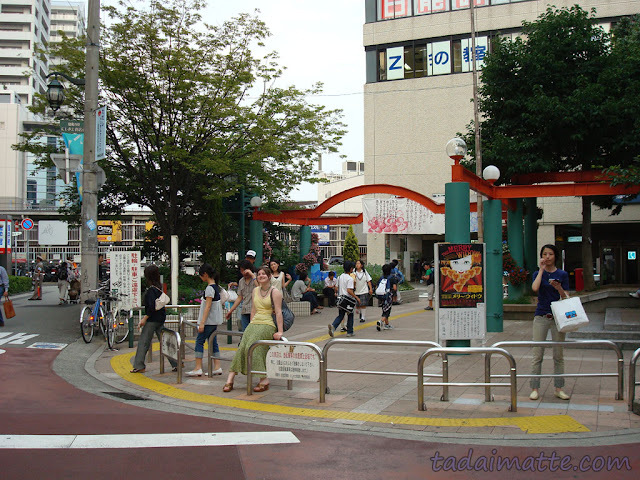 Marisa and I are both fans of the Takarazuka Revue, and on our way to a show in Takarazuka City one day, we passed through Nishinomiya Station. This town is the setting of the light novels/anime The Melancholy of Suzumiya Haruhi, so we took a few photos. The courtyard of the station is probably a familiar sight for fans!